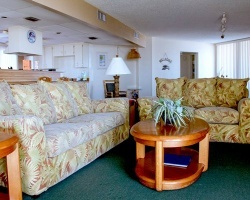 In exciting Daytona Beach, Atlantic Terrace offers an excellent beach escape. From water sports and beach games to just relaxing by the pool, there's something for everyone at Atlantic Terrace. Orlando's attractions are just 75 miles away, and closer to the resort, golf, tennis and sightseeing abound. 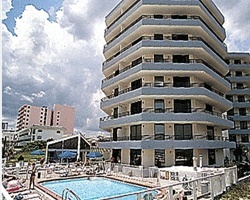 For more information, visit www.atlanticterracecondo.com. Beautiful Daytona Beach resort! Enjoy the many watersports in the area! Buyer may receive a title fee credit, inquire for details! 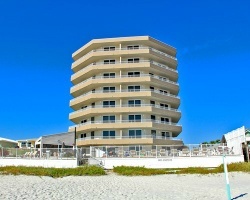 Oceanfront Penthouse suite on exciting Daytona Beach! Yearly in April week 17! Buyer may receive a title fee credit, inquire for details! Go play on Daytona Beach! Yearly in May week 18! Buyer may receive a title fee credit, inquire for details! Price is negotiable! Motivated Seller! Price Negotiable Stunning oceanfront resort! Many activities and amenities nearby for all ages! Annual week 28 usage! Motivated Seller! Price Negotiable! Resort is close to golf and tennis! Also, only 75 miles from Orlando's attractions! Annual week 29 usage!